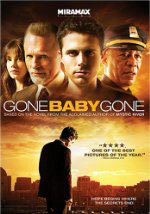 adapted as "Gone Baby Gone"
Synopsis: The tough neighborhood of Dorchester is no place for the innocent or the weak. A territory defined by hard heads and even harder luck, its streets are littered with the detritus of broken families, hearts, dreams. Now, one of its youngest is missing. Private investigators Patrick Kenzie and Angela Gennaro don't want the case. 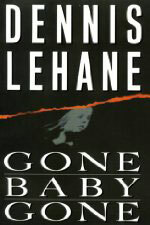 But after pleas from the childs aunt, they open an investigation that will ultimately risk everything—their relationship, their sanity, and even their lives—to find a little girl-lost.